Kids Fish Free was set up to help less fortunate kids go fishing. Many kids would love to go fishing, or enjoy other outdoor activities, but their circumstances may not allow them to. What is the kids fish free program about and what events do we offer. The kids fish free program is not just about taking kids fishing. Part of our plan is to get the kids to enjoy the great outdoors. But we also try to teach them the techniques of fishing and preservation of the sport. Top Stories. Check out some of our top stories of kids and military members who have been helped by our free fishing program. 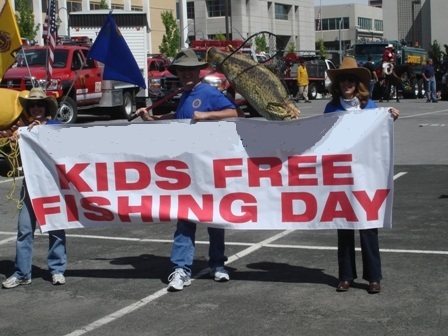 Kids fish for free, youth free fishing events, programs and trips. 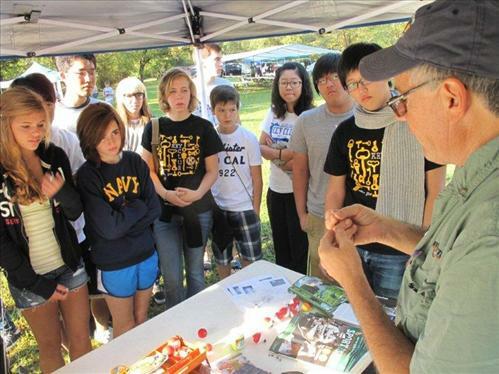 Our free youth fishing events, programs and trips are not just for kids, parents and children are asked to participate. We also have free fishing events, programs and trips for military members and their families. Our goal is to give children, who may not otherwise get the opportunity, a chance to go fishing and enjoy the outdoors. 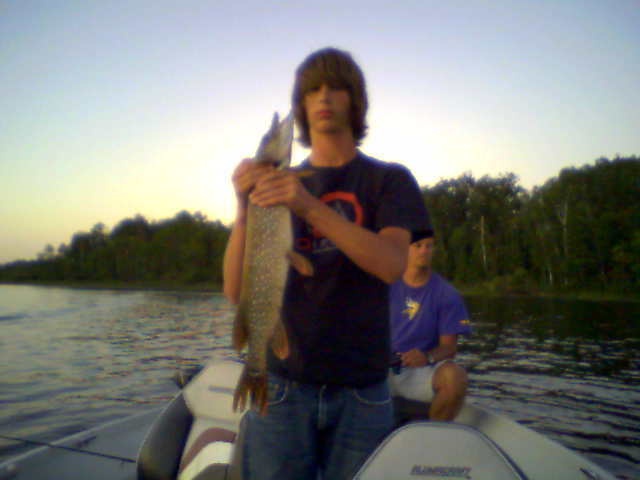 We offer youth fishing events and trips that everyone will enjoy. Check out our event calendar above. Help us take a kid fishing, kids fish free relies on sponsors and donations to achieve our goals. Help us change a kids life for a day by donating to the kids fish free program. all proceeds go to help the kids. Suppliers and Manufacturers who wish to donate fishing products, please click on the donate button. You will be taken to our donation page where you can find the details, Thanks. Go Fishin with us, Kids & Parents, if you would like to be considered for one of our free fishing events or would like more information on upcoming fishing events. Just follow this link and you will find out how to get the info needed. Programs, to learn more about the free fishing events and trips we offer, visit our fishing information page. Top Stories. Check out some of our top stories of kids who have been helped by our kids fish free events. Volunteer, would you like to help out the kids fish free program by volunteering your time or equipment. Please look through our event list and e-mail us with an event number and we will give you all the details. Wall of Fame. Check out photos of fishing events and our catch of the year. 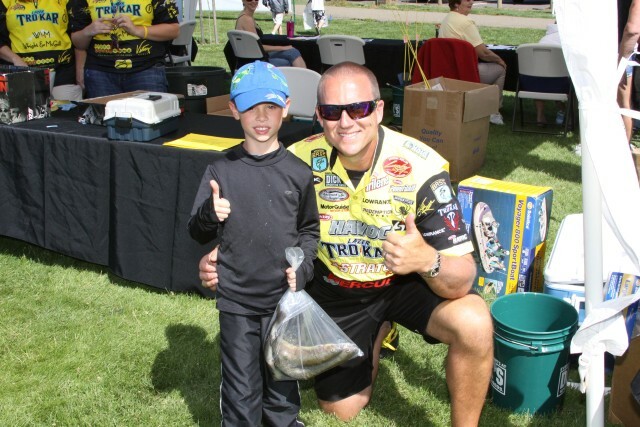 The kids fish free program is changing kids lives by introducing them to the sport of fishing. The kids fish free events and trips mission is to give kids a chance to fish, who may not of otherwise had the opportunity. The kids fish free program rely's on donations from the public and sponsors to achieve its goals. The kids fish free events wouldn't be possible if it wasn't for your help, we appreciate it. Copyright © Kids Fish Free - Kids Fishing Foundation. All Rights Reserved. 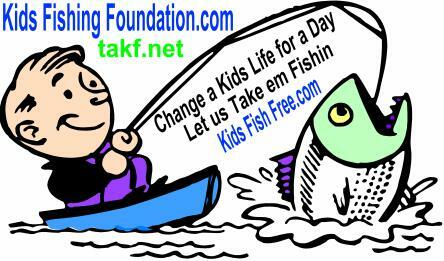 Kids fish free, site is published by the kids fishing foundation. We would like to thank all our sponsors for your generosity.